Retail $164.80 SAVE 13% ! Great detail on loco and cars. easy to set up and to use. 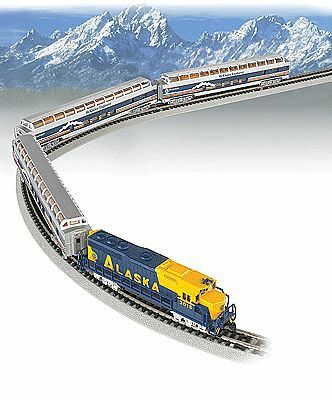 Full-dome passenger cars (the Kenai, Knik and Deshka, all name after Alaskan rivers).